News Flash! 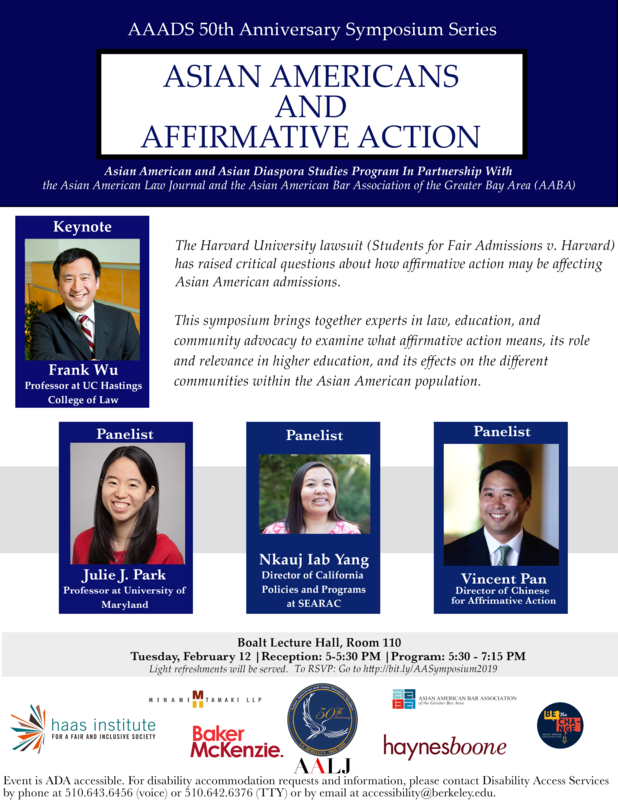 Our symposium’s location for next week, Asian Americans and Affirmative Action, has changed for next week! The reception and event will both be held at Boalt Hall 110. The time remains the same as scheduled. In addition, we are introducing a third and final panelist: Nkauj Iab Yang, Director of California policies and programs at SEARAC.